Because Wecan specialise in the manufacture of rotavators they are able to mass produce to a very high standard while keeping pricing very competitive and far below other makes of similar quality. WF5000BGW – FrontAll wearing parts are manufactured from specially selected steels to give long levity. The cost of replacement wearing parts is much lower than those of other makes. 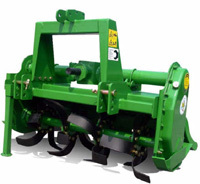 The product range starts with the baby WR 800 SG (working width of .8 m) requiring just 16 hp to the largest hydraulic folding WR 6000 BGW (working width of 6m ) which is built for the 250 – 300hp tractors. Toughened and other special steels “Atos” used in blade and flange design. Patented frame and cover design for machine strength and longevity. 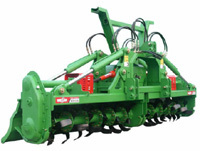 One of the worlds largest manufacturer with 9 different Series which will cater for all soil types and individual farmer requirements worldwide.